A few months ago, we were contacted by Adobe to see if we would be interested in vending at their MAX Marketplace that takes place during their big MAX Conference. This was a no brainer for us. Not only have we previously attended other creative seminars at the Adobe campus in Seattle, but we wouldn’t be much of a business without the many Adobe products we use daily. We will be at the MAX Conference on Monday. The MAX Marketplace is on Wednesday only. If you happen to be attending, please stop by and say hello. Our booth in the MAX Marketplace is #25. We will have MAX exclusives and will be showing off our most intricate works. You can also follow us along via Instagram. I’ll try to post to our stories a bunch while we are there. All orders received after Sunday 10/14/18 will ship Friday 10/19/18. 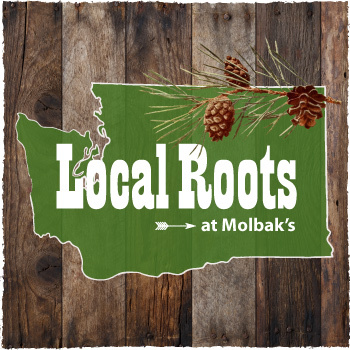 Join us for a store-wide celebration - a day of food, fun, art and music featuring some of the best from the Pacific Northwest. Enjoy local flavor from Seattle’s favorite food trucks, and sample tasty Northwest treats from sweet, to savory, and everything in between. Wander through our glass pumpkin patch from the Tacoma Glassblowing Studio and browse gifts from Puget Sound artists, jewelers and sculptors -- all set to music by Seattle’s own Sunshine Junkies. We're super excited!!! We will have our PNW Lifer - Happy Places series, our extremely popular plant stands and to honor our area - Wine Me signs! So if you're local and have been wanting to see our products in person but don't want to make the big trek out to Seattle. Saturday is your chance to see us in person right here on the Eastside! They are rare, but they do happen and today is one of those days. A Seattle-Eastside (the other side of Lake Washington) geek event is happening today! We're going to check it out and report back via our Instagram account. We're not vending but we are so excited to see the vintage goods and art work! We're just so excited something like this is happening in our neck of the woods that we had to share it here. More information about Galaxaar can be found here and here. Cozying up with the laser. I haven't had much of an opportunity to post here recently. We're busy filling wholesale orders for our stockists. Today we're trying to do as much as possible since we have a few days of storms looming over us. We live in area notorious for power loss during storms, so we're kicked into high gear. Our tabletop heater for our kitchen table. It's that time of the year where every open space in the house becomes a workspace! Things are laid out everywhere in our house. Table top heaters, packaging supplies and more! Whatever it takes to get the job done. I'm also currently lining up information about up coming holiday shows and special events that we will be at. Keep your eyes peeled for that information so you can see us in person! Do you recall a little bit ago we mentioned that we were one of the founding artists at The Handmade Showroom in Pacific Place? 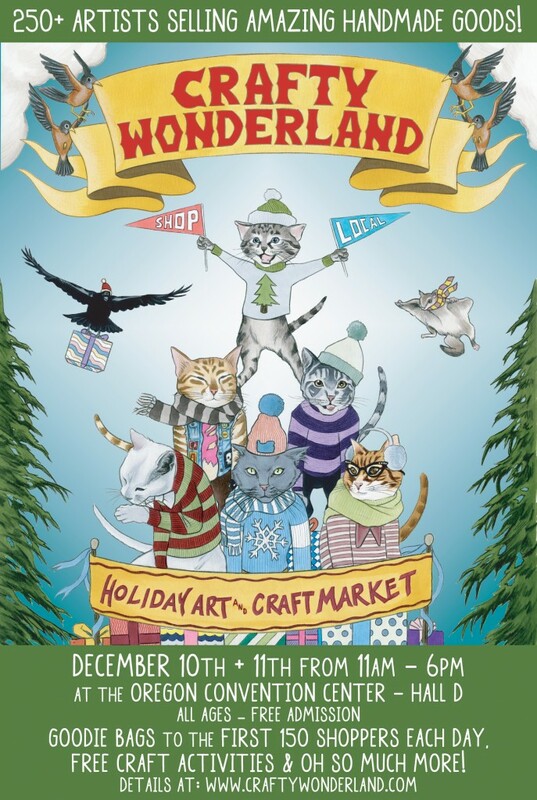 A quick refresher, it's super great pop up shop that features many local artists' work in the heart of downtown Seattle. Every time we've been in there, we've been totally delighted to see the handmade displays and of course the amazing work available for sale. 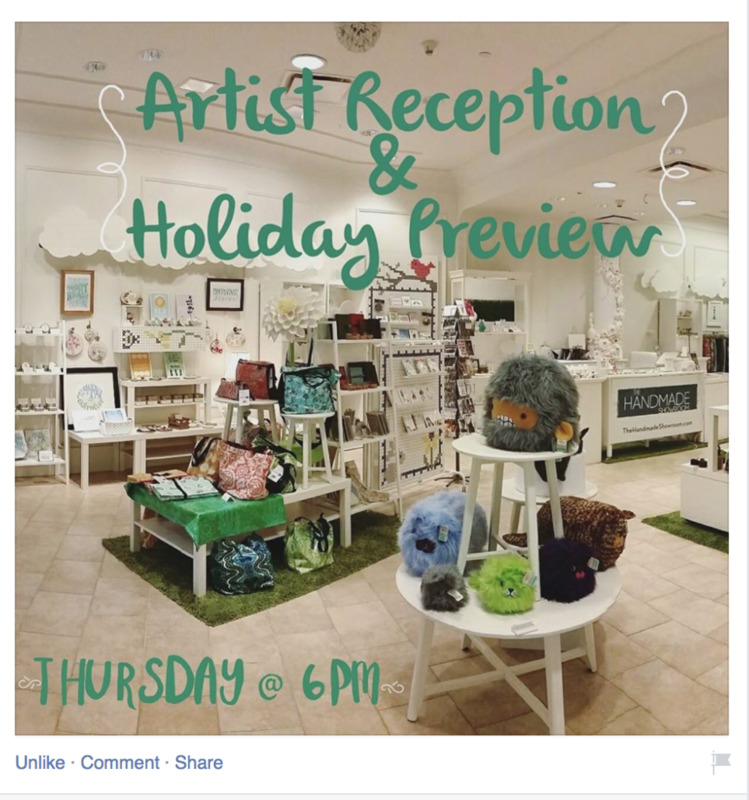 This Thursday evening The Handmade Showroom is hosting an Artist Reception at the store! We are excited to join the celebration of Fall fashion for ‪#‎StyleuPP‬ by Seattle Magazine happening at Pacific Place Seattle this week! Visit us on Thursday evening for an exclusive reception to meet our artists, taste wares from our artisanal food vendors, view our collection of amazing handmade work, and get a head start on your holiday shopping lists! In addition to all the fun we will have on hand, there will be a live fashion show happening at Pacific Place, so come early and join in on the fun of fashion! 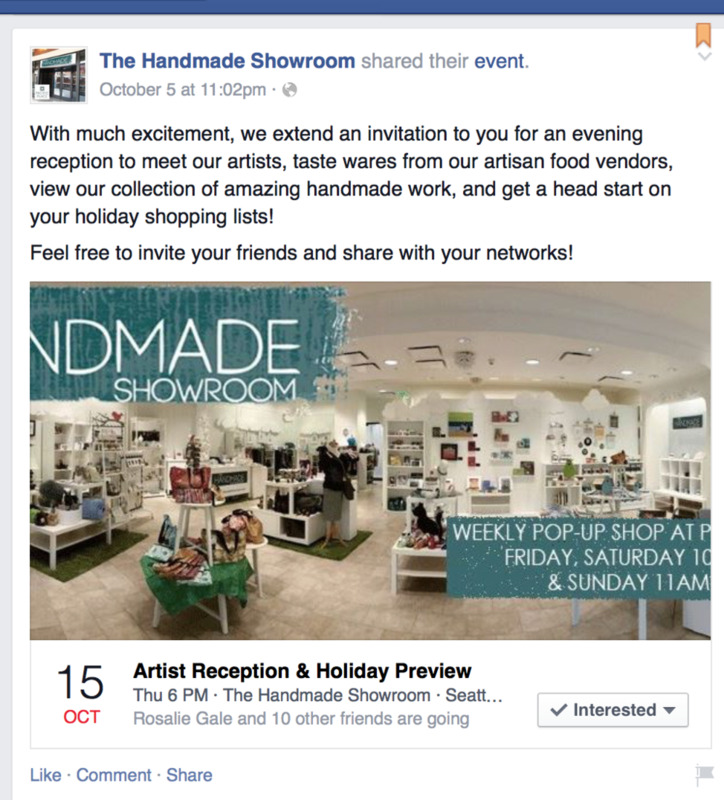 The Showroom is located on the third floor next to the Nordstrom Skybridge. All are welcome, so be sure to invite your friends to join in on the fun! We look forward to seeing you Thursday! John and I will be there! We've recently restocked The Showroom with some exclusive items. We hope to see many of our local friends there! It's Friday which means it's #BeerMeFriday on Instagram. John and I have committed for the near foreseeable future that we will post a picture of a new beer that we're trying out every Friday. We know it's rough, but we're willing to do it for absolutely no reason. Well, at least up until my jeans quit fitting. John might continue for quite some time. *Full Disclosure* John has never heard this song, this is all my doing. But go on now, and get on down now. Seattle locals, don't forget to come out the International District's Night Market tomorrow night! We'll be sharing a booth with our goods friends Momo Seattle! 6pm to Midnight.